We investigate how visual analytic tools can deal with the huge amount of data produced during the run of an evolutionary algorithm. We show, on toy examples and on two real life problems, how a multidimensional data visualisation tool like ScatterDice/GraphDice can be easily used for analysing raw output data produced along the run of an evolutionary algorithm. Visual interpretation of population data is not used very often by the EA community for experimental analysis. 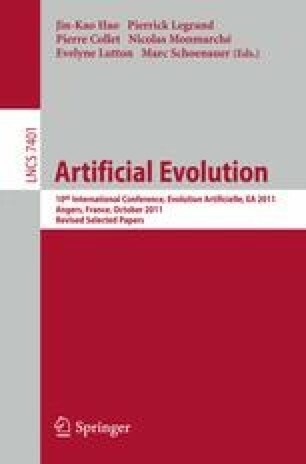 We show here that this approach may yield additional high level information that is hardly accessible through conventional computation.